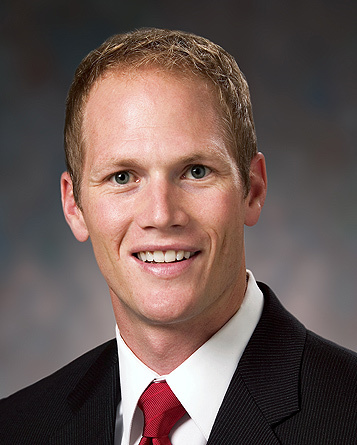 Dr. Hopstad graduated from Pacific University’s College of Optometry and is currently licensed in Idaho, Colorado and Utah. He is board certified by the American Board of Optometry and received his fellowship from the American Academy of Optometry. During his studies, Dr. Hopstad completed internships in ocular disease and refractive surgery at the Eye Institute of Utah in Salt Lake City and Eyes of Arizona in Lake Havasu. Before arriving in Boise, he served as a Captain in the United States Air Force and was Chief of Optometry Services at the Air Force Academy Hospital in Colorado Springs. Dr. Hopstad holds appointments as adjunct clinical professor at Pacific University College of Optometry and Southern College of Optometry. As a member of Intermountain Eye Centers, Dr. Hopstad provides comprehensive eye care to patients, including treatment of glaucoma, macular degeneration, diabetes and cataract postoperative care. Dr. Hopstad also performs annual eye exams for contact lens fittings and LASIK evaluations.